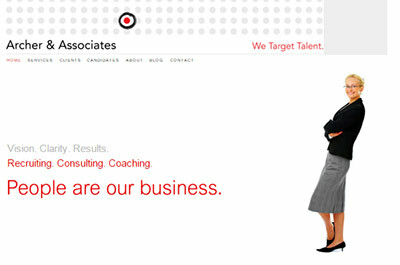 Archer & Associates, an executive coaching and search firm, needed a new site design. Our web production team redesigned the site within Archer’s existing branding, improved the site’s usability and security, and gave the content a thorough upgrade. Archer & Associates wanted to update their existing website to better reflect their business goals, improve the overall design, define clear calls to action, and provide FAQs. Their existing site was an “embarrassment” and in sore need of a complete design and content refresh. The firm also wanted to weave in the principal’s sense of humor and demonstrate its successes (number of executive placements, for example). First order of business was to migrate their WordPress site to a modern WordPress theme and customize the theme to coordinate with their existing branding, which they wanted to keep. Our team also added a security certificate to the site, which had been hacked in the past.